English is Fun! : Who was able to win in the egg jarping? Who was able to win in the egg jarping? A. What could each Easter tradition involve? · Carnivals, complete with street plays, songs, and dances. B. 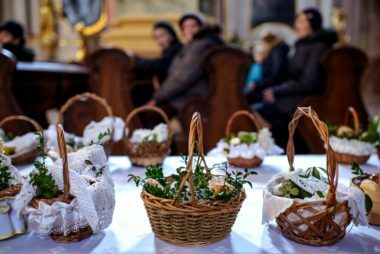 Where do people may celebrate Easter with the traditions? Match the countries with the traditions. C. What do you think each photo could show? D. Now read the texts to check your guesses. French children don’t get treats from the Easter bunny; they get them from the Easter bells. 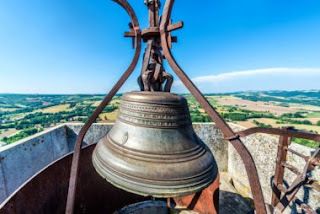 According to Catholic teaching, no church bells can ring between Holy Thursday and the Easter Vigil, on account of the solemnity of the days around Jesus’s death. Eventually, a legend evolved that said the church bells weren’t rung because they grew wings and flew to Rome to be blessed by the Pope. Then they returned Easter day with chocolate and presents for local kids. 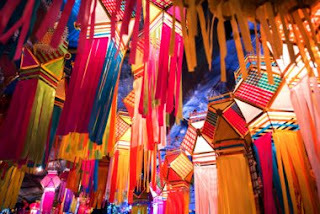 Even though Christians only make up 2.5 percent of India’s population, they still have elaborate Easter festivities, especially in the northeastern states. The western India state Goa celebrates with carnivals, complete with street plays, songs, and dances. People exchange chocolates, flowers, and colorful lanterns as gifts. 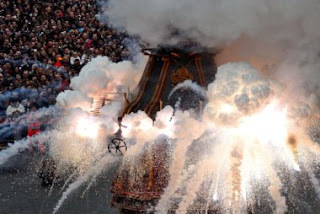 (“Easter” in Italian), residents of Florence celebrate a 350-year-old tradition called scoppio del carro, which means “explosion of the cart.” A centuries-old cart is loaded with fireworks and pulled in front of the Duomo, where spectators watch the pyrotechnics go off. It’s meant to be a sign of peace and a good year ahead. South of Florence is the town Panicale, where the big celebration happens the day after Easter (called Pasquetta, or little Easter). Locals gather for the annual Ruzzolone, a competition that involves rolling huge wheels of Ruzzola cheese around the perimeter of the village. Some Australian kids are visited by the Easter Bunny, but rabbits are considered pests because they destroy the land. (Come on, Australia—They’re so cuddly!) So some Australians associate Easter with a different animal. In 1991, the Anti-Rabbit Research Foundation started a campaign to replace the Easter Bunny with the Easter Bilby. 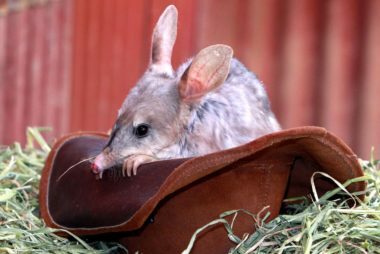 Bilbies have big, soft ears like rabbits and long noses like mice, and they’re endangered, another reason for publicity around the campaign. There’s also the Sydney Royal Easter Show, the largest annual event in the country. Farming communities showcase their crops and livestock, and urban dwellers get to experience a slice of rural life. The two-week show (always spanning over Easter weekend) also includes rides and the Sydney Royal Rodeo. Many Latin American countries, Brazil, and certain regions of Spain participate in The Burning of Judas. 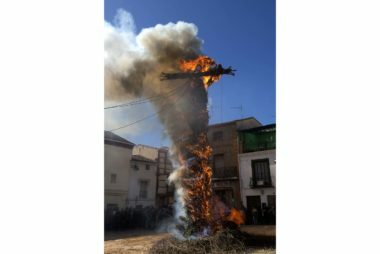 Residents make an effigy (or multiple effigies) of Judas, the apostle who betrayed Jesus, and burn it in a central location. Sometimes, people make the effigy explode with fireworks. 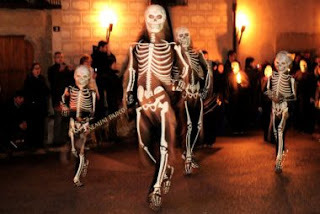 The town of Verges commemorates Holy Thursday with the Dansa de la Mort (Death Dance). During this night procession, participants dress up like skeletons and reenact scenes from the Passion. The last skeletons in the parade carry a box of ashes with them. On the other side of the country, residents of Almaden de la Plata have a custom of placing straw effigies of famous people around the city (similar to The Burning of Judas), then tearing them up and throwing the pieces in the air. Many communities in England have Easter performances of Morris dancing, a traditional type of folk dance dating back to the Middle Ages. Men dress up, wearing hats and bells around their ankles, and wave ribbons while dancing through the streets. 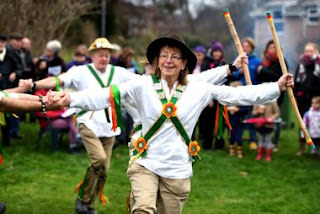 It’s believed that the dances drive the spirits of winter away and bring good luck. Another famous Easter tradition (recognized around the world) is egg jarping. Two players smash hard-boiled eggs together, and whoever has the egg that’s still intact is the winner. The World Jarping Championships are held each Easter in Durham, England. How were they able to move these giant heads?